VIENNA — Dec. 6, 2018 — In 2021, the 36th America’s Cup will set sail toward Auckland, New Zealand. Working together as circle-o Broadcast Productions, Austrian production company West4Media and German broadcast manufacturer Riedel Communications will jointly produce this major TV event. The battle for America’s Cup, the oldest international sporting trophy, pits the world’s most renowned yacht clubs against each other in a series of thrilling races. To win the right to challenge the title defender from New Zealand at the 36th America’s Cup, one team must come out on top at the prestigious Prada Cup qualifying races in spring 2021. 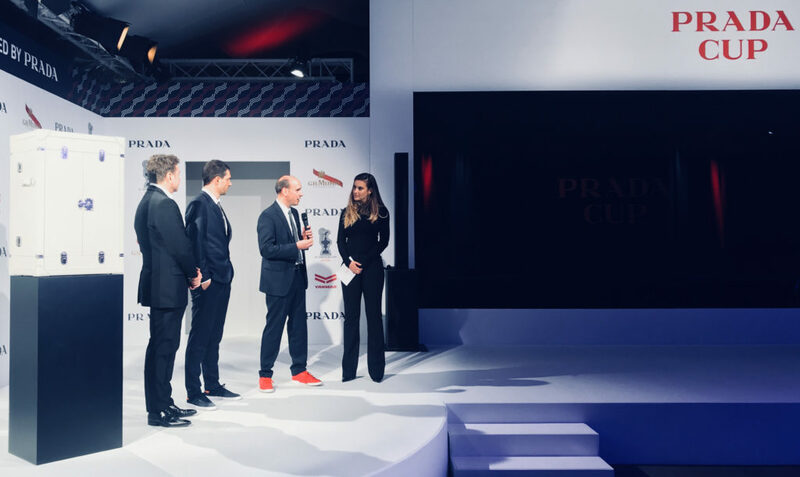 In a global call for tenders, West4Media and Riedel Communications prevailed in their bid for the production rights to the 36th America’s Cup, including the America’s Cup World Series and the renowned Prada Cup. Their bid was a technically and substantially innovative 360° concept that combines live TV production and race management systems to bring the live coverage of yacht racing to an entirely new level. West4Media and Riedel Communications have nearly 60 years of combined experience with major sporting events. Between them, their six sports production Emmy® Awards attest to their success and competence in this segment. As specialists in broadcast production, camera technology, and communications, West4Media and Riedel Communications have further honed their skills by broadcasting and producing events such as Formula 1, summer and winter games, Red Bull Air Races, and the Red Bull Stratos Jump. In order to bring the audience closer to the races than ever before, a team of circle-o developers is already hard at work on new products and technologies for the 36th America’s Cup. These include innovative camera solutions, entirely new audio technologies and techniques, and real-time visualizations. circle-o is a joint venture of two innovative, Emmy® Award-winning business partners: Riedel Communications GmbH & Co. KG and West4Media Filmproduktions GmbH. With customized solutions in the fields of camera technology, broadcast infrastructure, and communications, Riedel and West4Media have contributed to the most prestigious international sports events and are involved in the production of media spectacles like the Red Bull Air Races and the Red Bull Stratos Jump. As circle-o, these two associates are combining their strength, energy, and motivation to create a wide range of innovative broadcast solutions.